Finally! 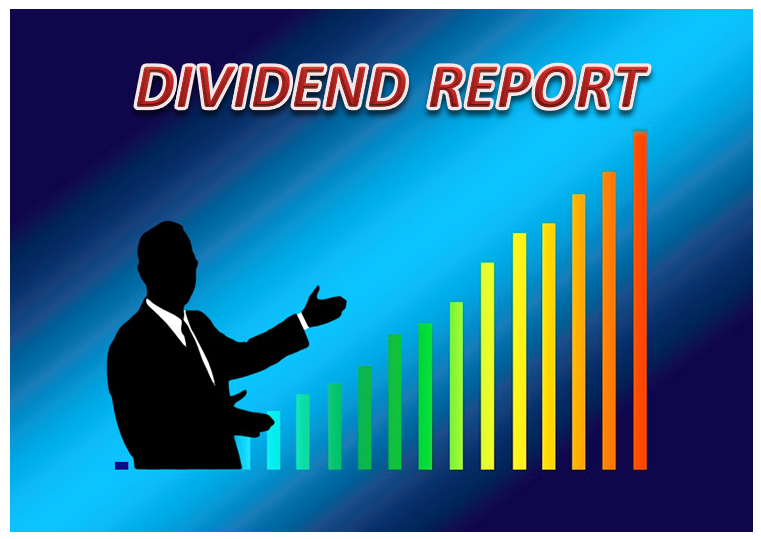 Time for my first dividend report! I own ETFs in my portfolio which pays quarterly dividends. Q1 has had significant market turmoil. I saw it as excellent buying opportunities for long term investors. It’s a way increase the overall portfolio yield. Hitting three figure dividends seems to be the norm now. 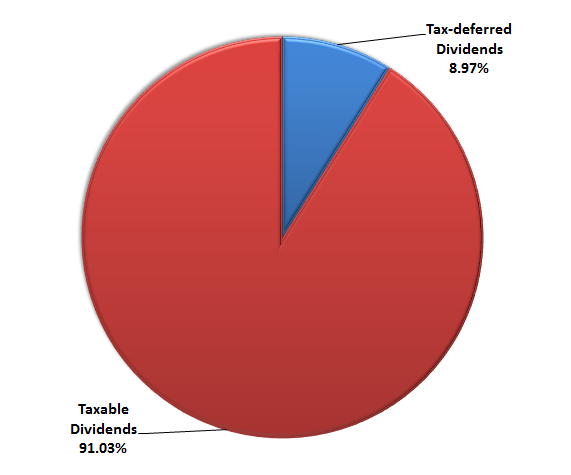 I received $182.58 in dividends this quarter. Thanks to consistent saving and compounding it’s more than the dividends I received in entire 2015 ($135.10) and 2016 ($149.36). I am happy to be off to a fantastic start. It would have been nice to beat my 2017 Q4 dividends to keep the upward trend. But, it was always a stretch goal. Q4 is the best quarter for ETFs and mutual funds. My goal to reach $400.00 in dividends in a single quarter needs to wait till next quarter. 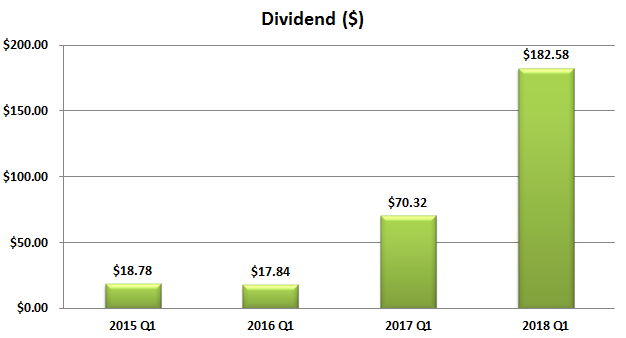 In terms of growth, in 2017 Q1 I received $70.32 in dividends. Compared to 2017 Q1 I had a 159.64% increase in dividends. Not too bad, but much lower than the 294.17% increase in dividend I had in 2017 Q1. Expected dividend is based on the dividends received in 2017 Q1. Actual dividends are the dividends I received in in 2018 Q1. Any increase is considered to be an organic growth i.e. the growth I got without investing any new capital. Unlike dividends growth stocks, ETFs tend to have quarters with increases and decreases. I had a 4.83% increase in dividends. International ETF had a major drop in dividends. Starting 2018, I have been contributing to my Roth IRA. There is a good feeling associated with tax-deferred growth. This would be my first non-taxable dividends. I received $17.98 in dividends in my Roth IRA account. I am hoping to increase this as the year progresses. 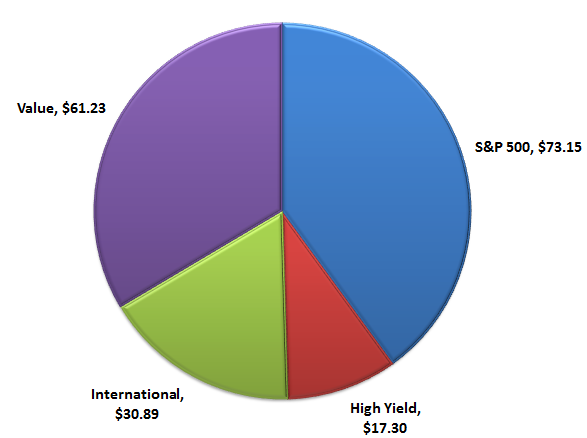 My plan is to continue to grow my S&P 500 position and cut down a little bit on international position. This would help with increasing the growth characteristics of my portfolio. I would like my international portfolio to be around 25%. 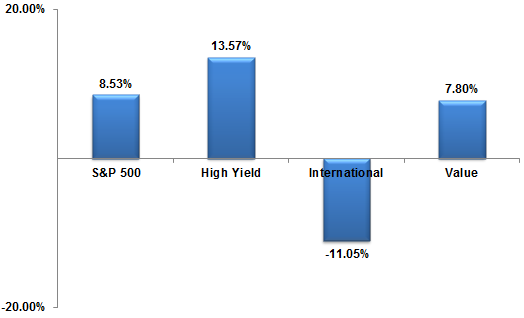 I don’t plan on increasing my allocation to high yield stocks anytime soon. My forward dividends are now at $955.89 (getting really close to the four figure mark). I am at 63.73% of the goal for 2018. The market pull back has definitely had a negative impact on my FIRO target. My FIRO number is now 5.70%. It’s only new capital infusion driving it forward. Progress is slow but steady. Wow nice growth geek! Congrats. Very diversified portfolio as well. Nice quarter you should hit the 1000 forwards dividends. Thanks Rob. Looking forward to 1000 in dividends. I am ready for you to cross the $1K mark and there to high five you as you cross the line. Thanks Lanny. I am confident of hitting 1000 this year. You have a really solid plan DivGeek, and look to be in good control. Those dividends will just keep compounding if you stick to what you're doing, great work. Great results. The progress you have made is insane. Keep at it, keep pushing, you'll hit those goals before you know it. $1,000 appears in your sights. Keep up the great work. Thanks Bert. I am looking forward to Q2.